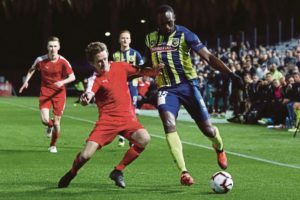 Home Football Usain Bolt’s football debut: Will the Speed King become Football King? The fastest man in the world has always been expressing his affection towards the beautiful game of football. 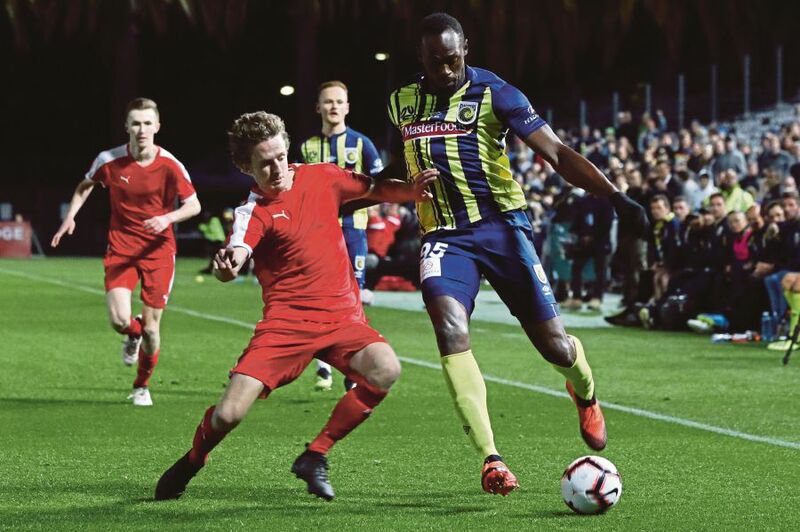 The Athletics sensation makes his first professional debut for Australia’s A-League side Central Coast Mariners against an amateur team at the club’s stadium in Gosford, 80km North of Sydney, in front of 12000 spectators. He expressed in an interview that he was quite nervous while making his first appearance and that was displayed on the field as his very first touch of the game didn’t go as planned. The 32-year-old world champion is currently suffering from injuries and needs time to be completely fit and be back with his team. He feels very confident that he can perform well and win championships with the A-League side. Mike Mulvey, Central Coast Mariner’s coach said Bolt has “rudimentary skills” and was “doing ok” but would take some time “to adjust”. The 8 times Olympic Gold Medalist made his appearance on the 71st minute when his team was already leading by a gigantic scoreline of 6 goals, where he played a total of 9 touches, completed a pass and missed his target once. The debut was competent for the 100-200m world record holder. Football : Neymar barges youngster into the wall after being tackled.